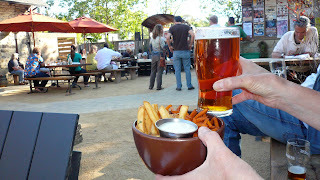 Hop Monk Tavern in Sebastopol, for a KRSH sponsored Friday after work music concert, where the warm weather and soft breeze made for total enjoyment of our Green Flash West Coast IPA, paired with sweet potato and regular fries. Sunday found us at TAPS Petaluma, doing my part for their Stone "Bitter Beer" competition. I had, for the first time, Stone's Double Dry Hopped Ale (6.9% abv), pictured at left, which was a perfect choice for a hot day after walking several blocks of the Novato Street Fair. Crisp, refreshing, well balanced hops and lingering finish. Will be drinking this one again, competition or no. 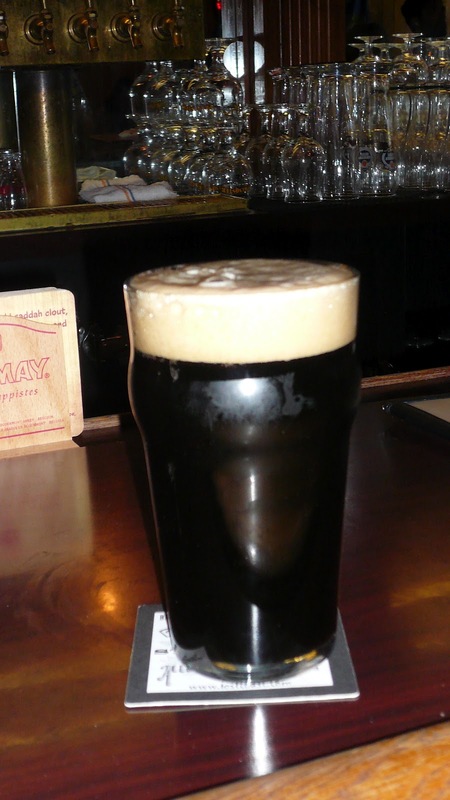 Kay tried a new one from Firestone Walker, the Wookey Jack Black IPA, shown on the right. 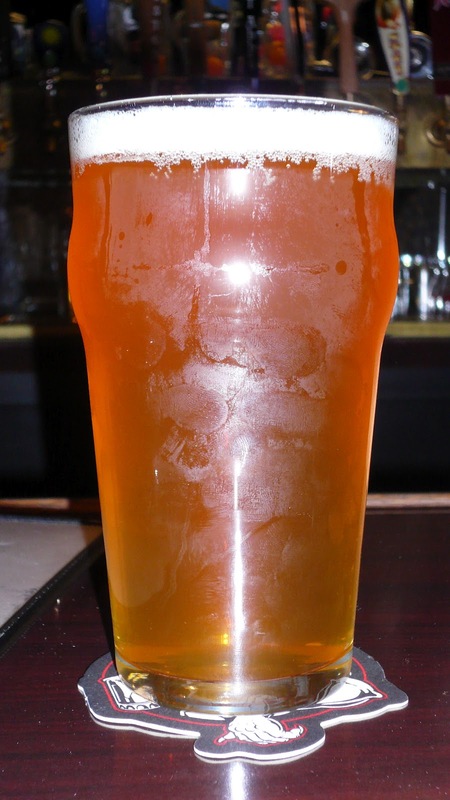 Great hops aroma and taste, good balance of malt in the finish and lighter bodied than the color might indicate. Another one to try again. Lastly, time to have some early dinner (or late lunch) at home and a fortuitous visit to Whole Foods led me to a six pack of 21st Amendment's Big Daddy IPA. 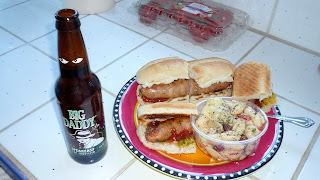 Now, having just read the results of a blind IPA tasting in the latest issue of the Celebrator which had this beer finishing first, it was a great time to judge for myself and pair it with grilled, locally made sausages. They paired wonderfully and I am now eager to try it on tap.... I'm sure TAPS will have it again before too long. What a way to end the weekend, Sonoma beer loving style! !